Change your outlook, with the click of a button. 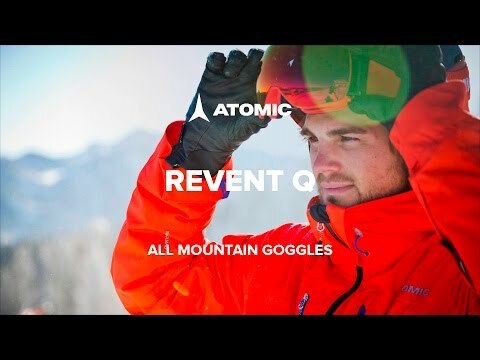 The Revent Stereo Q use Atomic’s Quick Click lens changing system, so you can customize your optics to match the conditions. Designed to medium sized faces best. Quick Click lens system allows you to swap lenses in and out at the push of a button. Live fit frame technology lets the frame mold to your face. Triple density foam offers all day comfort. Articulating outriggers allow for smooth helmet integration. Includes microfiber goggle pouch and an additional lens hard case that is easy to take with you. Black and red colourway includes an additional light red stereo lens with a 56% visible light transmission. White colourway includes an additional light blue stereo lens with a 72% visible light transmission.